Lake Worth Personal Injury Attorneys | Gonzalez & Cartwright, P.A. Your life or the life of a loved one can be altered in an instant when someone acts negligently and those actions lead to injuries. The utilities at your home could be shut off because you are unable to pay the bills due to the inability to work. You might struggle to put food on the table and you might not physically be able to care for your family anymore. The most severe injuries usually require surgery to repair them and then an extended amount of time going to physical therapy to regain range of motion or movement of the affected area of the body. Injuries caused by someone else’s negligence can prevent you from attending class, going to church, driving yourself around town, going to work and doing just about any other type of daily activity. You should not be responsible for the financial issues caused by a personal injury accident. That’s why you need to talk with a Lake Worth personal injury lawyer from the experienced and dedicated team of Gonzalez & Cartwright, P.A. We have been representing clients just like you for more than a decade in South Florida. Looking at these four categories you might think that only the most tragic injuries will be allowed to go to court when a lawsuit is filed. It might seem that way, but for the most part the law permits any personal injury lawsuit to move forward if it involves a broken bone. The outcome of the injury will not matter, which means that even if your bones are going to heal, the lawsuit will still be permitted to be heard. So long as the injuries you suffer in a personal injury accident prevent you from going to work or prevent you from performing normal daily activities, the lawsuit will be permitted. Why Choose Gonzalez & Cartwright, P.A. The best step you can take to protect your rights or the rights of a loved one if ever injured in a personal injury accident is to speak with an experienced attorney from Gonzalez & Cartwright, P.A. about the case in Lake Worth, FL. The Martindale-Hubbard Lawyer Rating Service has awarded our firm the AV rating, which is the highest rating possible a firm can achieve. 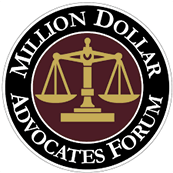 We are also proud members of the Million Dollar Advocates Forum. This national group recognizes lawyers who have secured awards for their clients totaling $1 million or more. Our firm has received recognition throughout Broward County for our superior work with clients from all backgrounds and legal needs. Compassionate and Dedicated Legal Representation from Gonzalez & Cartwright, P.A. The goal of Gonzalez & Cartwright, P.A. is to provide our clients in the Lake Worth, FL and surrounding communities with compassionate and dedicated legal representation from start to finish. We understand how challenging it can be to discuss legal issues when there might be problems with immigration in your background. We are discreet, can come to your location, and provide a safe environment for our clients. 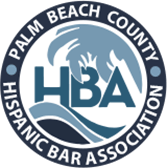 Our work in the Latino community has been recognized by multiple organizations in Florida, which is why the Spanish-speaking community has put their trust in us. The most important goal of every person who files a personal injury lawsuit is to recover compensation for the injuries caused by a third party. Injury victims should never have to feel alone when recovering from an injury or when trying to pay the bills associated with the injury. That’s why it’s important for you to consult with the team at Gonzalez & Cartwright, P.A. You can schedule an appointment by calling the office or completing the contact form on our website.